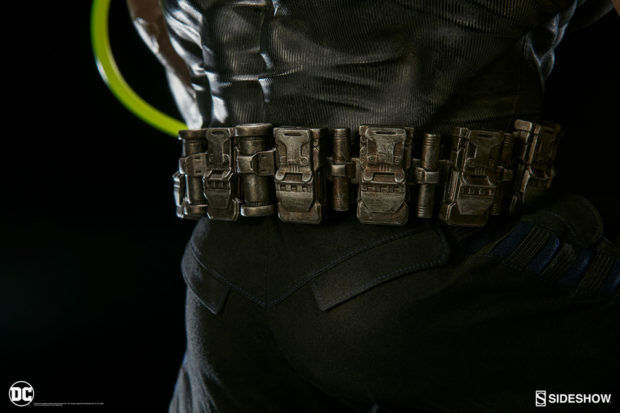 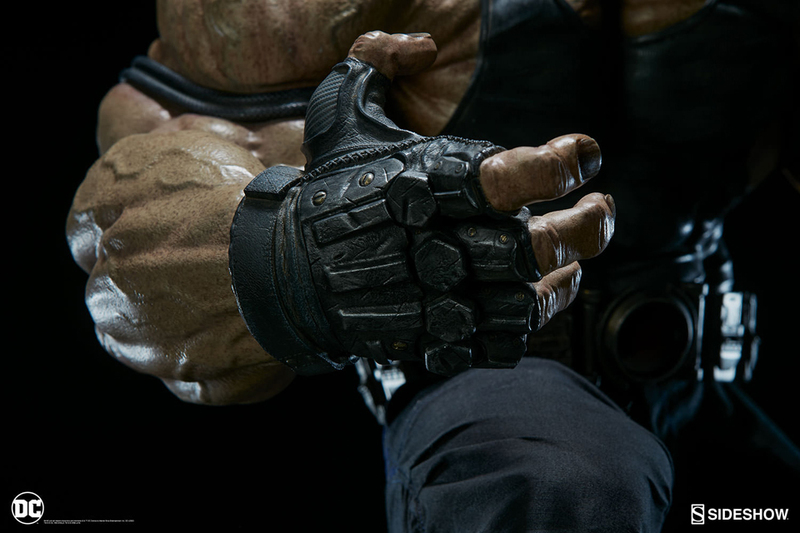 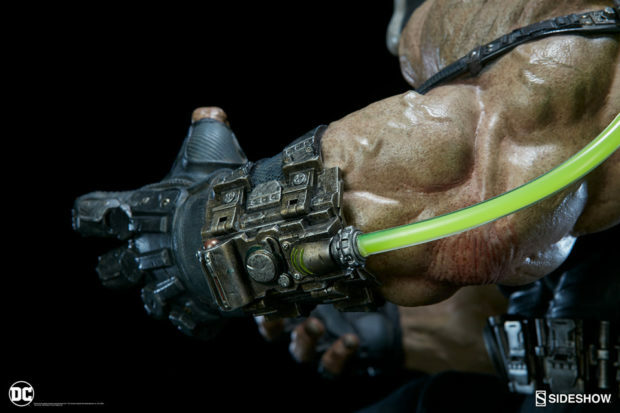 Sideshow Collectibles does justice to the man who broke the Bat with this insanely detailed statue. 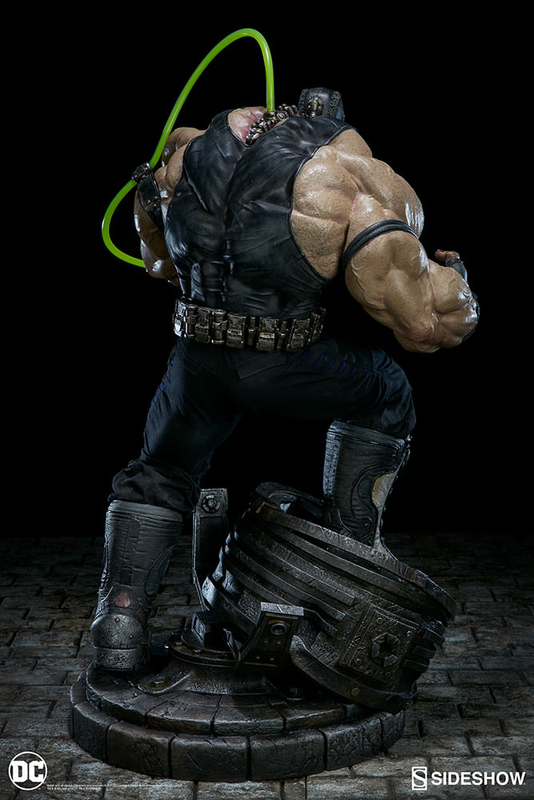 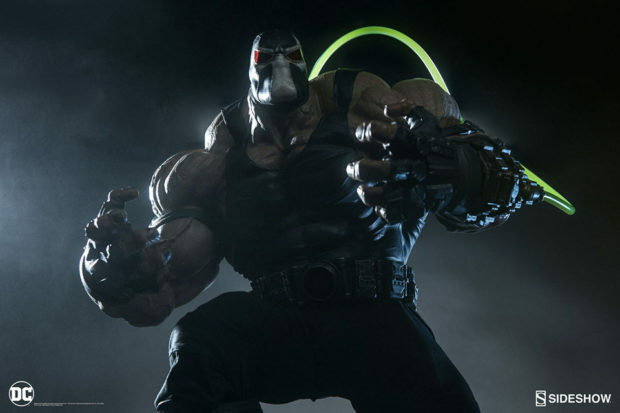 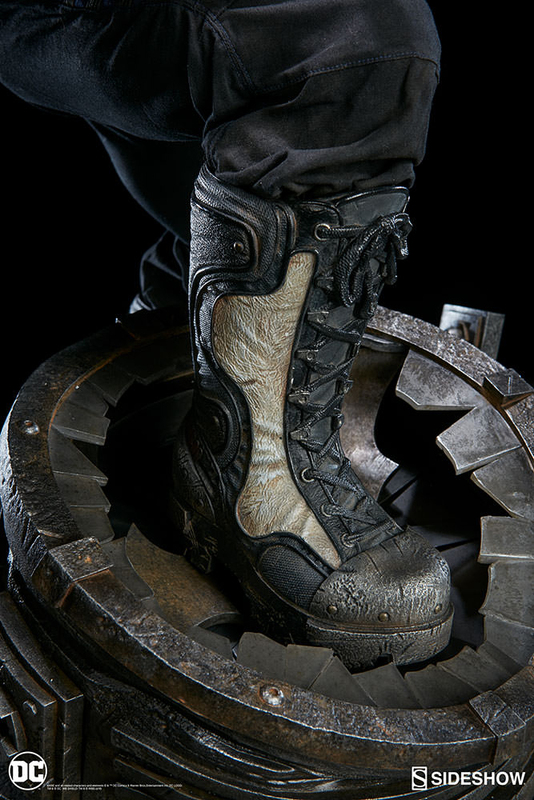 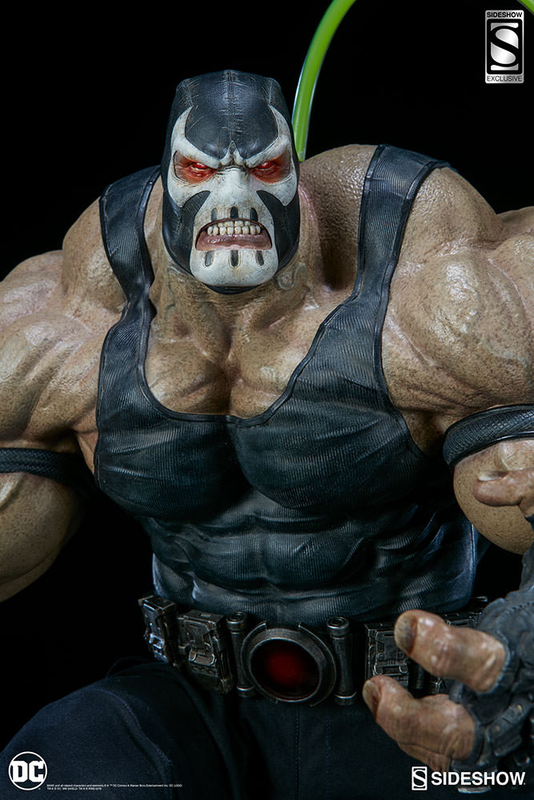 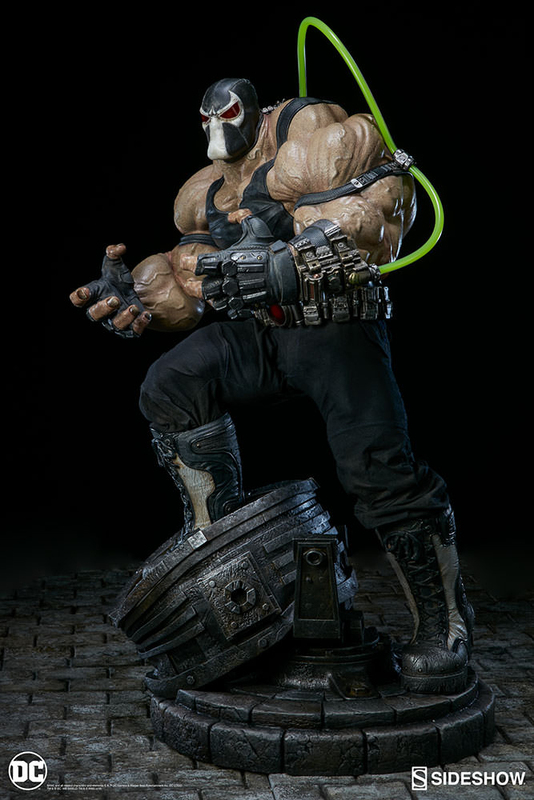 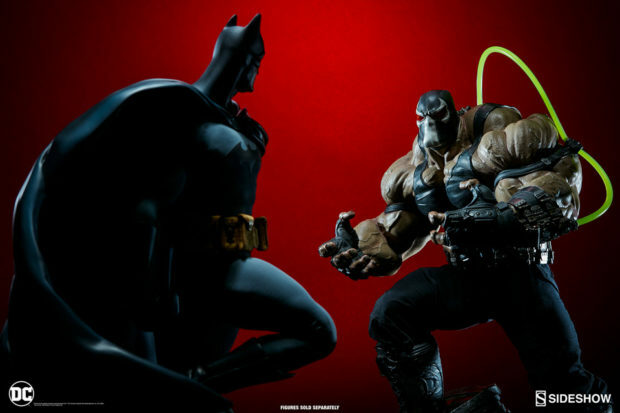 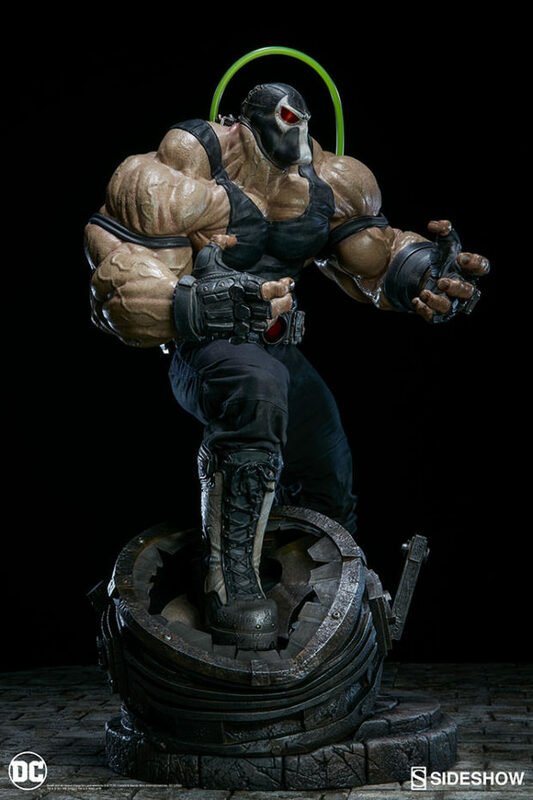 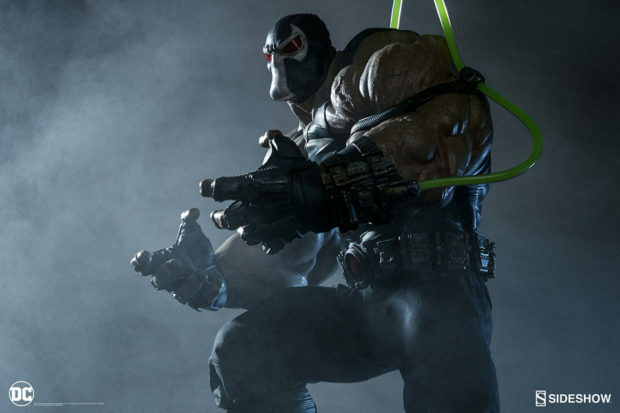 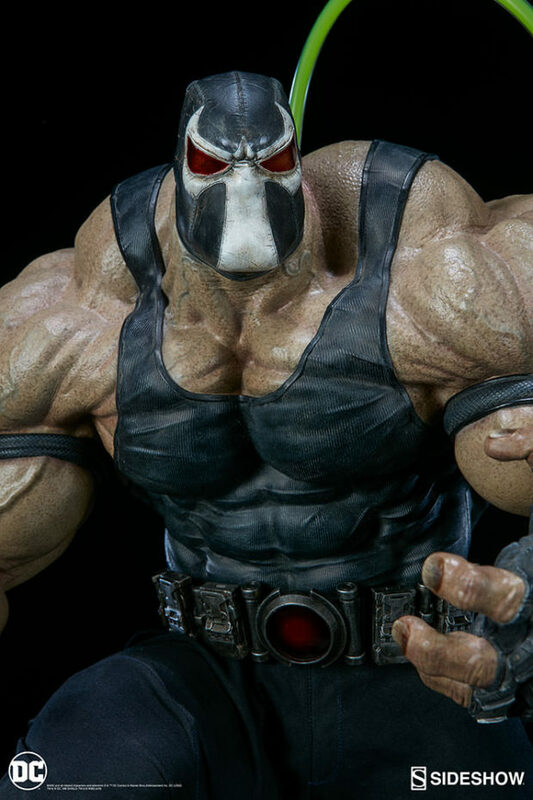 The 23″ tall Bane Premium Format Figure depicts the drug-infused psychotic thug in his original appearance, stomping over a broken Bat-signal. 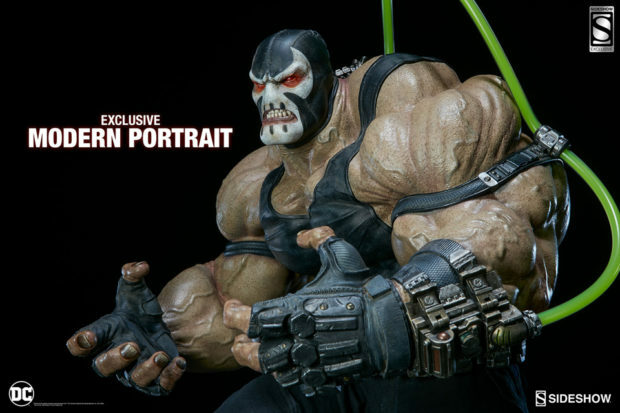 The overall look is so great that I think the extra portrait – based on a later incarnation – is a letdown. 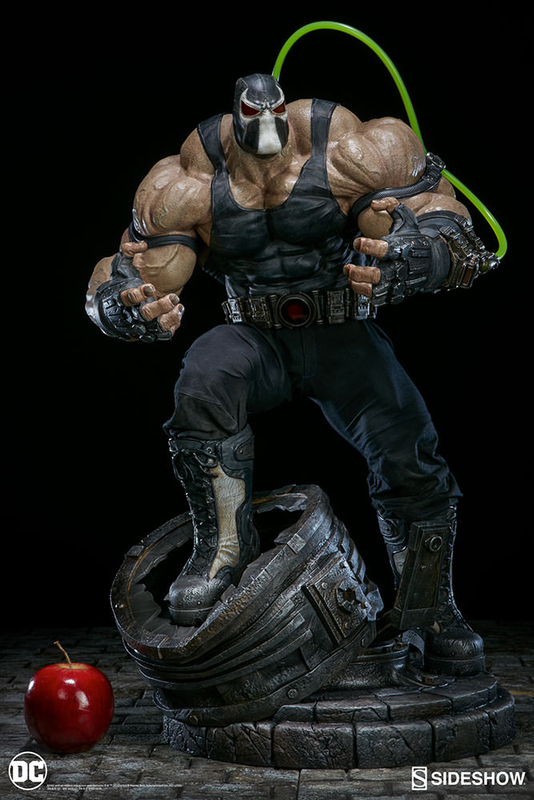 It would’ve been much better to give him extra limbs so that he could be posed doing his signature back breaker. 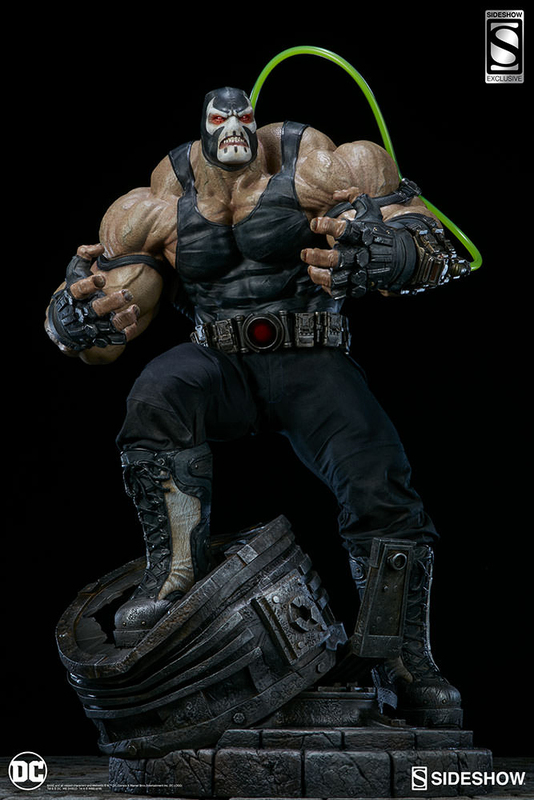 Overall though this is one of those collectibles that deserves its own display case with a magnifying lens close by. You can pre-order it now for $700 (USD).